Mark Gaughan of the Buffalo News. "Josh Allen has a lot of low-hanging fruit to grab in his quest for better accuracy in the NFL. Allen completed an NFL-low 10.1 passes per game within 10 yards of the line of scrimmage in 2018. The league average for the 32 starting quarterbacks was 16.5 completions per game on "short passes," within 10 yards of the line, according to an analysis of data from Pro Football Focus. "Allen also had the lowest completion percentage on short passes. The Bills rookie completed 75 percent of his throws within 10 yards of the line, which isn’t quite as good as it sounds. The league average for starting QBs was 81 percent." "The Bills did not try to be a horizontal, possession-passing offense for most of 2018. That’s not necessarily best suited to a rookie quarterback. Allen’s big arm is a deep-passing threat to the defense, and the emergence of Robert Foster helped the deep passing game improve the second half of the season." "In an annual study by PFF, Allen’s 'accuracy percentage' was a league-low 33 percent on 'underneath' throws. Those are specific routes defined as longer than screens and swing passes but shorter than intermediate crossing routes in which the receiver needs to be led with the pass. And that 33 percent isn’t the actual completion percentage, it’s the rate of accurately delivered balls, essentially into the frame of the receiver. Only two other QBs were under 50 percent on such passes (both Eagles QBs, Carson Wentz and Nick Foles). 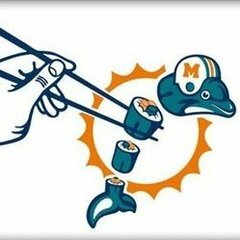 "On the plus side, Allen’s accuracy percentage on “stick routes,” essentially intermediate routes, on a line with the receiver facing the QB, was 71 percent, according to PFF. That was better than the league average of 68 percent. 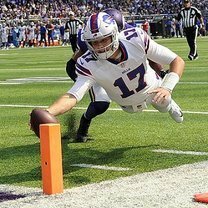 "Another indication of the need to improve the Bills’ possession passing game is how long Allen held the ball (3.2 seconds on average) – the longest in the NFL, according to PFF. Of course, part of that figure stems from the fact Allen has more ability to extend plays than most QBs. "But when Allen got rid of the ball in 2.5 seconds or less, his completion percentage was 75.7 percent, near the league average of 78.6 (and adjusted for drops, throwaways, etc.) When Allen held the ball 2.6 seconds or more, his completion percentage was second worst in the league, at 53.5 percent (with the league average at 68.9)." There's a bunch more in the article, including mentions of footwork and throwing technique mechanics he needs to work on. The numbers are interesting. Clearly he's got accuracy issues, which we're all aware of. But it's interesting to see that two specific areas where it turns up are specifically what PFF calls "underneath throws" and throws where he held the ball longer. Gaughan of course mentions that another year of experience should help and that improving the receiving corps may also help. Nothing surprising here. Lots of stuff for Allen to work on, as most have said. Now, if you believe he's incapable of doing this stuff that's another story, but I certainly don't. This makes me think of his Wyoming coach talking about Josh while in a practice. He said there was a play they were running and Josh was supposed to throw the ball to the RB in the flat. He proceeds to unleash a 60 yard bomb. The coach says, "Josh, the play was supposed to go to the RB in the flat." Josh says, "Coach, Favre says Touchdowns first." Josh is always looking for the big play. Once he reels that in a little bit and adds that balance then he will be tough to handle. Learning to take what the defense gives will be a process for him. Ball placement within 5 yards is not a strong suit for him right now. I certainly think Josh can improve in the short game. I don’t recall him doing a lot of it at Wyoming. Don’t know about Reedley College. His accuracy issues are almost all footwork and repetition! I like the fact he is always pushing the ball down field. He needs to learn though that short passes would put even more pressure on the defense and actually increase the probability of longer routes being open as the game progresses. Bills have had too many check down QBs in past and they become easier to defend. Allens ability to run and the long ball threat really pressures defenses. With improved running game and some shorter passes to further stress the defense, Dabol can put together an exciting and efficient offense with exciting big play potential. I expect huge improvement from Allen this next year, part from better supporting cast, part from scheme and part from the maturation progress on Allen and the rest of the team. Sure he needs to work on his accuracy but I have a feeling that if you fix the line, get the run game going again and find some real WR's that his accuracy across the board will magically improve. He is the complete opposite of Trent Edwards, wouldnt mind seeing him complete the easy stuff more often though. Who cares?? Honestly.... Do people want Josh to check-down more to make his accuracy % higher?? Do people want him to throw it to the RB at the line of scrimmage, or 2-3 yards beyond it just to get tackled right when the RB catches the ball? We've seen it too many times being a bills fan. Tyrod or whoever throws check-downs to the RB near the sideline, who are either behind/on/ or 1-2 yards beyond the line of scrimmage, just to get tackled for no gain or a loss on the play. I've seen Allen look to his check-down multiple times a game, but not throw to him even though he's wide open, then watch Allen throw the long ball, or run with it. I rather he take a chance throwing it down field or running than dumping it off to the running back for little gain. That's exactly my take... and as they refine and coach him, along with improved weapons around him, we will see some real offensive production around here. Exactly. That's why he is so promising. He doesn't necessarily have an accuracy issue, he has a completion percentage issue which will improve as he gets better at reading defenses and gets the ball out sooner. Reading the article, the comment that surprised me the most was it listed Nick Foles as 6'6 and around 240 lbs. Is that correct, or was it a mistake and was really referring to Wentz? Didn't think foles was anywhere near that big. as i've mentioned before, i always felt he took too many deep chances on 3rd and manageable. i'm not sure if there's stats to back that up, but far too often allen seemed to be going for the big play, even when not necessary. there's work to do, but he certainly strikes me as a guy that will put in whatever work it takes. So, just to make sure, people want him to become a checkdown passer? You can teach a risk taker to limit risks. It's extremely difficult to teach a "play it safe" QB to take more chances. The goal of an NFL offense should always be to use the whole field. As soon as you’ve shown you won’t do something, the defense doesn’t need to defend it. An offense that consistently throws behind the sticks and gets 6-7 yards per play with some RAC can win championships. At least 5 or 6. After having so many past QBs who checked down too often, I’m thrilled to have a QB who can stretch the field. Hopefully, he will get better at the shorter throws with experience and coaching. I think that he will be awesome as a play action QB if we can establish our running game. Is his last name pronounced "Gone?" Man I'm excited to see how much he improves from Year 1 to Year 2. I'm hoping for a big jump. No, I want Josh to check-down more because a successful NFL QB needs to be able to take what the D gives him and move the chains. An accurate checkdown that enables YAC can reliably get 3-4 yds. That potentially moves the chains and keeps the O on the field. For most Quarterbacks, what it all comes down to is making the correct decision on each play. Sometimes thats hitting the guy for a 3 yard gain and sometimes it means throwing to a guy 30 yards downfield, or running for the first down. The big things Allen needs to improve on, like most rookies, is getting a better read of defenses and making a quicker decision. And these two things go together. Make the best decision in the 2.5 second range and execute, and sometimes extend the play when you don't have anything. Take a little more of what the defense give you. These things will lead to better completion percentages and more first downs, TOP and scoring. Hey Thurm, thanks for posting this. I think Gaughn does consistently good work, and this piece (I've only read the excerpts you posted) is another example. I have an inherent distrust of PFF, because it's amateurs analyzing the game. I think they generate "data" that isn't necessarily relevant to anything. But I have to admit, the more they do it and think about what they're doing, and the more they talk to actual coaches to validate their thinking, the better they'll get. And when their data agrees with what coaches (in this case Daboll) say, I trust it more. When it's also consistent with what I understand to be good football, I trust it even more. In a sense, football never changes. The reason Belichick is so successful is that he's never lost sight of the fundamentals of the game. Physical toughness and teamwork wins games. In terms of strategy, ball control wins games. If you possess the ball for 60 minutes, you can't lose. The more you have the ball compared to your opponent, the better your chances of winning. Yes, the explosive offense can beat you with explosive plays, but if you control the ball you can FORCE your opponent to go for the explosive plays, and if you know they're coming you can prepare for them. That's exactly what Belichick does. The great coaches do not lose sight of these fundamentals. In particular, Bill Walsh didn't. He understood before everyone else that passing was important to the modern game, not because it produce big plays but because it could be a more important of a ball control offense than running. In the 50s it was tough to complete 50% of your passes, so the dominant offenses pounded the ball with Jim Brown, Jim Taylor and others. But by the 80s, rules had changed and strategies had evolved so that completing over 50% was a lot easier. Don Coryell took those changes as an opportunity to bomb away, and he created an explosive offense. But that approach runs against ball control principles that are fundamental to the game, and Walsh had the better idea: use the evolution of the passing game and the rule changes to enhance ball control. Walsh started a trend that continues today. Now completion percentages are up over 65% - 19 QBs were over 65% in 2018. In 2000, Kurt Warner was the only passer over 65%. Why is that trend so dramatic? Because the coaches have figured out that being successful on a high percentage of plays is more important than having big successes on some plays. In other words, the coaches have figured out that high completion percentage wins. All the best modern QBs have high passer ratings and high completion percentages. The only QBs from earlier eras that rate high in both completion percentage and passer rating are Chad Pennington (under appreciated and crippled by injuries) and Joe Montana and Steve Young, the two QBs who played for the coach (Walsh) who figured this out before everyone else. So bring it back to Allen. I think you're foolish to buck history. Sure, it sounds like fun to have Allen bomb away like Dan Fouts, and if you're really good at it like Fouts was, you'll do some damage. What history and the present day tell us is that your chances of WINNING are better if you complete a high percentage of passes and take the down-field ball when the defense gives it to you. Why, because holding onto the football correlates well with winning. Bills fans of all people should understand this, because the Giants beat the Bills in Super Bowl XXV by holding onto the football. That approach tends to neutralize big-play offenses, and that's what won in Tampa. So, I'm glad that the message to Allen is that he's got to complete more balls, a lot more balls, to his underneath receivers. When he learns to do that and do it effectively, he's going to be a spectacular weapon. I said this the other day and no one really came back and challenged me about it: can you imagine Allen getting good at taking the easy throw when it's there? Just ask yourself this: if Josh Allen gets as good at taking the easy underneath throw as Tom Brady, when the time comes to take the deep shot, would you rather have Tom Brady or Josh Allen taking it? Imagine that - that's why I think Allen can be a spectacular weapon. I'm guessing this off-season, OTAs and training camp for Allen are going to be all about completing the short ball. That's well said. What people need to understand is that the best decision, from a strategic point of view, is throwing the short ball more often than some fans might like. The coaches are trying to teach Allen that the best decisions are the ones that lead to the most completions, not the most yards.